I must admit that this book has been sitting on my to blog list for some time. I have been slightly afraid to review this work, because; it has received a lot of attention, it has caused quite a lot of controversy, it is set in a culture that is not my own, and it is a book that defies definition. But , it’s on The Women’s Prize For Fiction Long List, and so I’m now reviewing it. Alif is a computer hacker who makes his living working for anybody, who has; a cause, gripe, or subversion; and the money to pay for his talents. Alif is the child of a secret liaison. His parents; are not married, have different ethnic origins, and very different social positions. Therefore, Alif occupies an ambiguous place within his society. Despite this, he has managed to form a relationship with a young woman who occupies a higher, and more secure, social position. His girlfriend (Insitar) has told him that her father is forcing her to marry someone with a similar social status to herself. She is forced to comply and therefore breaks the connection to Alif and asks him to disappear from her life. He decides to follow her instructions and completely disappear from her world. 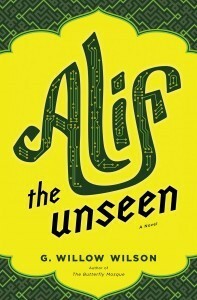 Alif creates a computer program that hides his very existence from her computer, in an attempt to become invisible. This program will gain the attentions of shadowy individuals who work for the state and act for their own sinister motives. Alif’s uncertain social position highlights the structures and relationships that constitute this unnamed ‘middle eastern’/’gulf’ country/state (world). We can see that this is a country whose inhabitants; Have complex identities, come from very different ethnic origins, and have differing tribal loyalties. We learn that this is a very structured state, in which your social class and ethnic/tribal origins defines what you can and cannot do. In addition, we learn this is a very tightly controlled, high surveillance world. The theme of identity is further explored in the life of his childhood friend Dina. From the time we meet her, we know that she is a religious character. She has chosen to wear the Hijab. This is not welcomed by her family or the wider society. We learn that the Hijab had become a sign of social status; a dress style that has come to denote a high class/caste position. Dina, who has a low social status, in choosing this form of dress, is therefore breaking a social norm. Class still defines the sanctioned mode of dress for every individual. Despite Alif’s efforts to disappear from Inistar’s world, he cannot forget her and begins a war by messenger; sending Inistar hateful messages. In return, he receives a strange package, an ancient book. This book will lead Alif, and his childhood friend Dina into a mythical world of the DJinn. This is a city that has a mythical realm running through its centre. Run your hand along a wall and, if you believe and have the right identity, you will find a gap. That gap leads you through to a street of the DJinn. That sacred street mirrors the secular one, even in regards to the technology; reflecting the secular city back to itself. This reminds us that in many , if not all, parts of this world the sacred past sits comfortably alongside the technological future/present. The themes of Faith, and secular cynicism, run throughout the heart of this book. At one point, Dina, a really likeable character, who is deeply seeped in her faith, accuses Aslif of a lack of conviction. She says that he does not even believe in the secular accoutrements that he espouses, such as; the arts, democracy and technology. Instead of a firm belief in one thing, Alif, and the world that he represents, has a cynical, superficial, yearning for the next new shiny thing. Alif’s unfocused hacking protest proves this point. He will work for any cause, being a hired gun for any group with a cause and a credit card. Alif and the Other (Kindle edition; location 1720 onwards). One of the most interesting characters in this book is that of the western woman who has recently converted to Islam. Her character gives Willow Wilson an opportunity to explore the life of those who convert to another faith. This character is an interesting one, especially when you refer back to Willow Wilson’s own identity. Willow-Wilson is herself a convert to Islam. I may be inferring too much from this fact; but, the character seems to be an interesting way for Willow Wilson to answer her potential critics who ask the question ‘can a western writer (even a convert) ever truly understand this culture?’. This character, and Alif’s reaction to her, gives the writer the chance to say ‘I am aware of my ambiguous position towards this culture and am sensitive to its potentially problematic nature’. On another level this character gives us the opportunity to explore: the relationships, and misconceptions, that exist between the east and west; the relationships between men and women; and the myths that shape and inhibit them. This book encourages many interesting conversations and is an interesting fictional debut. This is an author worth watching. 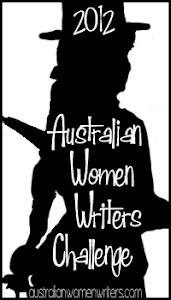 I am really glad that this book, with its fantastic/genre elements, has made the Women’s fiction awards. So, to sum up. I’ve got a lot of reading to do and you can expect more reviews soon.